If you're a regular around here, you know my family is from Lexington, Kentucky. We live in St Louis, so visiting Nana and Pops means regular road trips for the whole family! It's not easy for anyone being stuck in a car for 6 hours and the constant mileage on our car requires lots of special attention. That's why I'm sharing my top 5 tips for staying sane--and safe!--on the road, especially when you've got little ones in tow. 1.) Fill em Up | Nobody wants to be in a car full of hangry people, especially tiny hangry people. Snacks have saved us from a myriad of tantrums and meltdowns in all kinds of situations and they're my number one go-to on the road! 2.) In Flight Entertainment | Before every trip, we always let the kids pick out one new toy to take on the road. This keeps them from getting bored too quickly with toys they already love (and it's usually just a cheap dollar store toy)! We don't have a built in DVD player, so we download a few favorites onto the iPad. We also like to have a few educational apps on hand and usually play a little kid-friendly music. Here's our current playlist you can access below for your own listening! 3.) Stay Safe | Nothing scares me more than the thought of being stranded on the side of the road in the middle of nowhere. That's why we always make sure to take extra care of our car before hitting the road. We love the convenience of Walmart's Automotive Care Center (ACC) and the options we have there. Our car has taken many road trips and has well over 75,000 miles so we always ask for Pennzoil® High Mileage Vehicle® oil to try and ensure the most life out of our engine. Using Walmart's ACC allows us more time with Daddy (no more crawling under the car the night before we leave) and saves us money! Pennzoil® is known for cleaning out the sludge that lesser oils leave behind, therefore taking even better care of our vehicle for the long run. Add in Walmart's ACC High Mileage rollback (now $4 off!) and you've got even more savings! Use the store finder to see where your nearest Automotive Care Center is. 4.) Make Stops | We always like to stop about halfway through for lunch. It helps to choose a place where your kiddos can get out, stretch and run around a little bit, plus get a full belly for the last leg of the trip. We also try to hit rest stops or just get out and walk for a while when stopping for gas so that our legs don't cramp up. This is the perfect chance for a quick diaper change or to pull out a snack to pass around before heading back on the road. 5.) Take Self-Care | If all else fails, make sure to take care of your self. Nothing drives a mom crazier than hearing the same cartoon for the 1000th time in a row, and crazy moms are not patient moms. I find that bringing my own book or popping in headphones to listen to my own tunes helps to keep my own attitude in check and really allows me to give my kids more grace when they do start acting up. 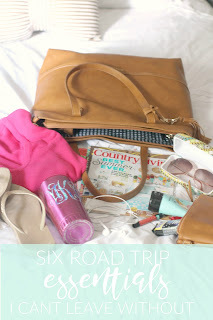 Be sure to check out MY Road Trip Must Haves post before packing your own bags! Road trips are not for the faint of heart, but hitting the road with a fully serviced vehicle definitely gives me the most peace of mind when traveling with the kids. And of course, an arsenal of snacks is a must have, too. What are some of the things you do to prepare your family--and vehicle--for a long car trip? Do you have any other tried-and-true tricks for keeping the kiddos happy in the car? Share your road trip must haves in the comments! Great tips!! We are all about the road trip! Road trips are a beast even without kids! Snacks are essential! These are great tips! I especially like the part where you said to bring headphones - that's something (weirdly) I've never thought of. My husband prefers I don't sleep the whole way to help him stay awake, but we don't always agree on what to listen to. I'm so bringing headphones next time! 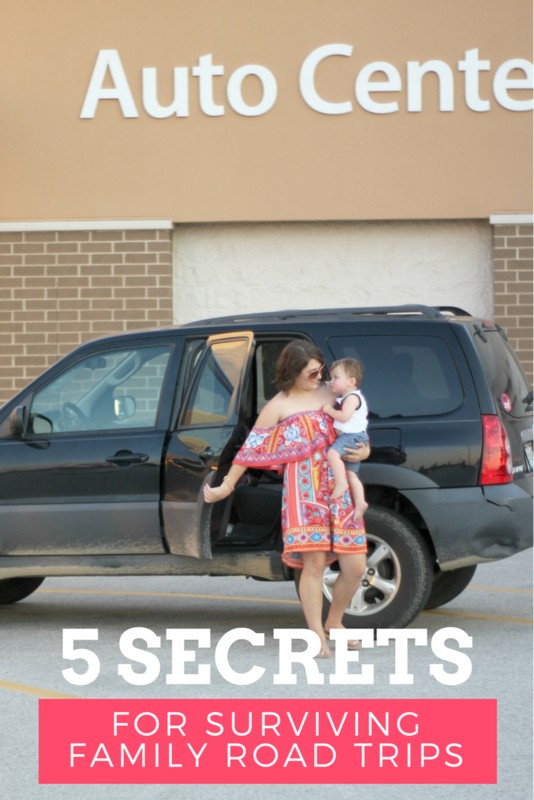 I love these tips; we do a lot of cross country road trips with our kids! I honestly had no idea that Walmart had an auto center. I'm definitely interested to check it out and see how the prices compare!